ALBANY – Esterina Trichilo, 77, of Albany, died Monday, July 16, 2012 at St. Peter’s Hospital. Mrs. Trichilo was born in Siderno, Italy, the daughter of the late Michael and Angela Rupolo CariCari. She lived in Italy until coming to Albany in 1959. She was employed as a seamstress for the former Cotrell & Leonard in Albany, after which she was employed by the Albany County Nursing Home and then by the New York State Assembly where she was currently. She also was a communicant of All Saints Catholic Church in Albany. Mrs. Trichilo is survived by her husband Carlo Trichilo; her daughters Rosemary T., Angela and Carmelina Trichilo, all of Albany; her brothers and sisters Mary Crupi and John CariCari (Rosina) of Toronto, Canada, Pina Restretti of Calabria, Italy, and Emma Sgumbulloni (Salvatore) and Tony CariCari (Sandra) of Toronto, Canada; and by many nieces and nephews. Funeral services will be held in the Hans Funeral Home, 1088 Western Ave., Albany, Friday morning at 8:15, and from there to All Saints Catholic Church, Homestead St., Albany at 9:00. Relatives and friends are invited, and may call at the funeral home Thursday from 4-8pm. Interment will be in Our Lady of Angels Cemetery, Colonie. 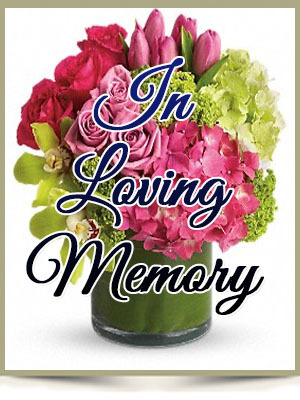 To leave a message of condolence for the family, send a sympathy card, or obtain directions to the funeral home, please visit www.HansFuneralHome.com. Click here to view Mrs. Trichilo’s resting place in Our Lady of Angels Cemetery, Colonie, New York. Our sympathy and prayers go out to you and your family at this time. We are so sorry that we cannot be there as we are in Florida.Carlo,Angela,Rosemary and Carmelina, you Are all in our prayers. We are sadden by the loss of Esterina and wish to send you our sincere and heartfelt condolences. She will be greatly missed. We are all deeply saddened by the loss of your wife and mother, we all cared deeply for her; she was such a sweet and caring lady. We will miss her smiling face on the 6th Floor at the Legislative Bldg. Our sympathy and prayers go out to her entire family.